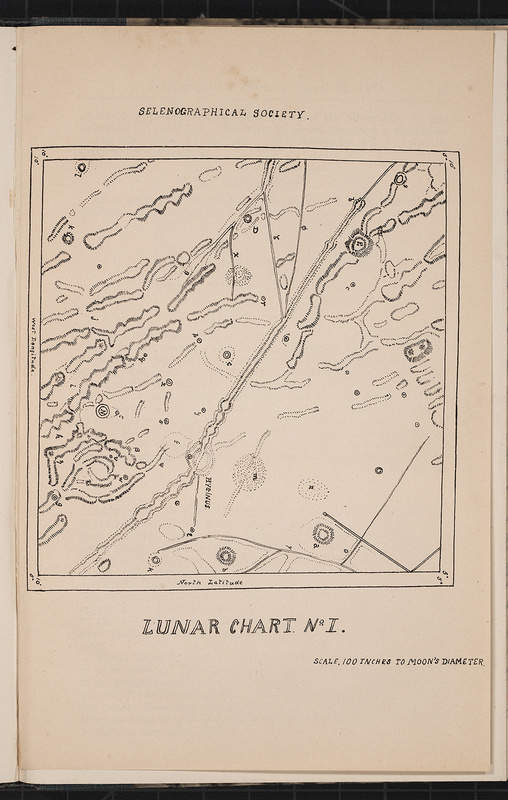 The Society planned from the beginning to issue its own lunar map, "a more complete and accurate map than any now in existence" (Nevill uttered this just before the publication of both the Lohrmann and Schmitt atlases). The first tiny section of that projected map appeared in the first volume, and showed, not surprisingly, the region around the Hyginus rill. The "new" crater is identified with a circled N.